The above downloadable handout is a great resource for elementary school students and students with special educational needs, learning difficulties, e.g. dyslexia at Beginner (pre-A1), Elementary (A1) and Pre-intermediate (A2) level. 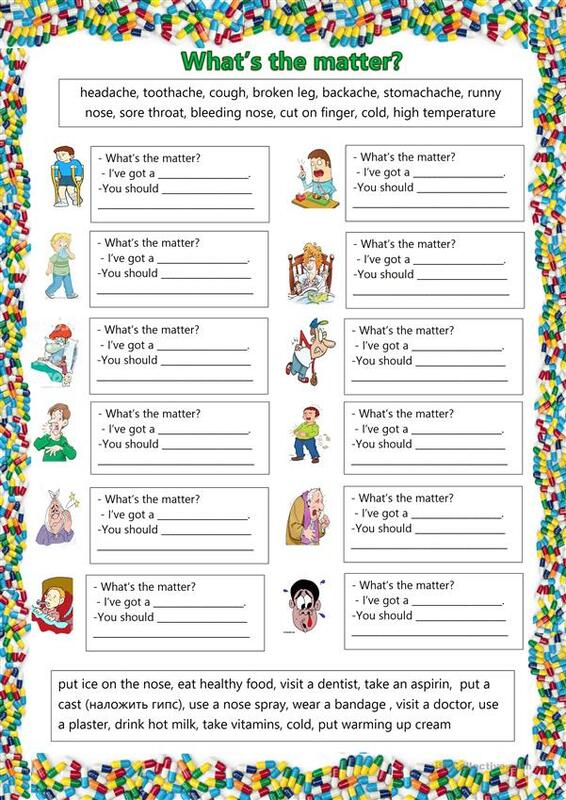 It is a useful material for revising Modals and SHOULD in English, and is excellent for developing your groups' Speaking, Reading and Writing skills. It is about the topic and words of Health, going to the doctor.